Foreign Minister Shah Mehmood Qureshi called on the Omani leadership on Wednesday during his official visit to the Gulf country. 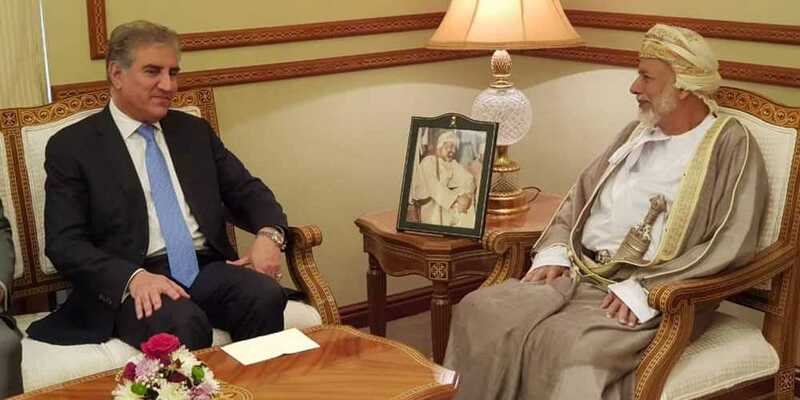 Qureshi met with his Omani counterpart Yusuf bin Alawi in Muscat, where the two leaders discussed bilateral ties and issues of mutual interest. Foreign Minster Qureshi invited Yusuf bin Alawi to visit Pakistan. Qureshi will also attend Pak-Oman Joint Ministerial Commission meeting during his visit. Representatives of various departments from both the countries will also attend the meeting. During his three-day visit, Qureshi will also participate in a reception for the Pakistani community.